MMs are traded worldwide as mineral concentrates, crude, pure, ultra-pure metals and compounds and represent a family of metals, metalloids and their compounds which are selectively chosen for advanced technological applications and trade. GeO2 is primarily used in the production of optical products, such as wide-angle lenses and microscope objective lenses, optical fibers, as well as some phosphors and semiconductor materials. A better understanding of the MMs has led to great technological advances in their useful applications worldwide and involves the evolution of the new paradigm for future developments. MMs are traded worldwide as mineral concentrates, crude, pure, ultra-pure metals and compounds and represent a family of metals, metalloids and their compounds which are selectively chosen for advanced technological applications and trade. 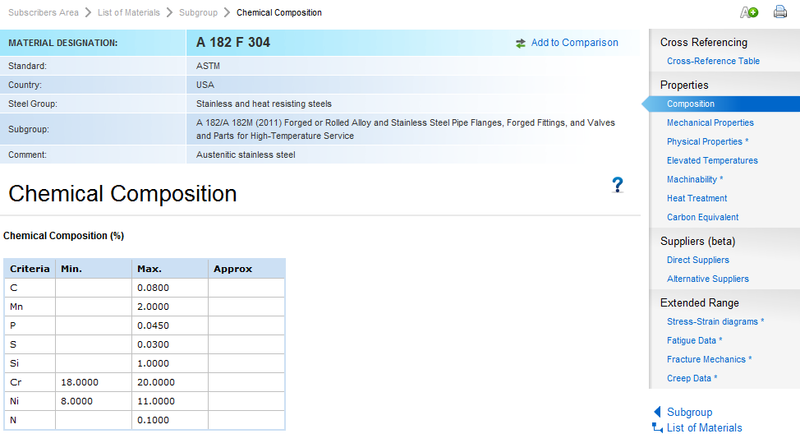 In this context it would be worth mentioning at this point that, a renowned organization MMTA, UK have published a list of forty nine MMs in their tradable forms inclusive of almost all metals suggested in strategic metals report “Minerals, Critical Minerals, and the US Economy” (NAS-USA 2007) & European Commission Enterprise and Industry report, “Critical raw materials for the EU” (2010), along with their chemistry, specification, sampling and assaying norms. 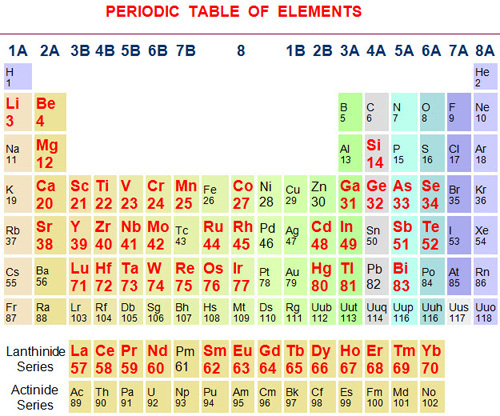 All these MMs are shown below in bold red color in a periodic table of elements for their easy identification. The above elements are selectively chosen from alkali & alkaline earth metals, transition metals inclusive of lanthanides, post-transition metals/metalloids etc., but exclusive of actinide & post actinide elements. Little ambiguity over choosing the elements like Ca, Mg, Ti, Mn & Si which are produced in large quantities and for not choosing some precious & PGM metals which are produced in minor quantities, persists. The MMTA documents are useful for trading, but for recovery recycling, purification and product development extensive studies are yet to be carried out. 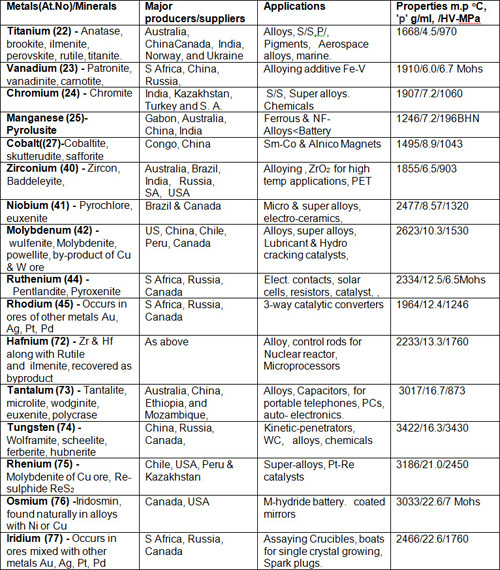 For brief and quick elaboration all MMs are tabulated in four groups (Table 1 to 4) arranged chronologically in increasing atomic numbers along with their important mineral resources, technological applications, properties as given below. 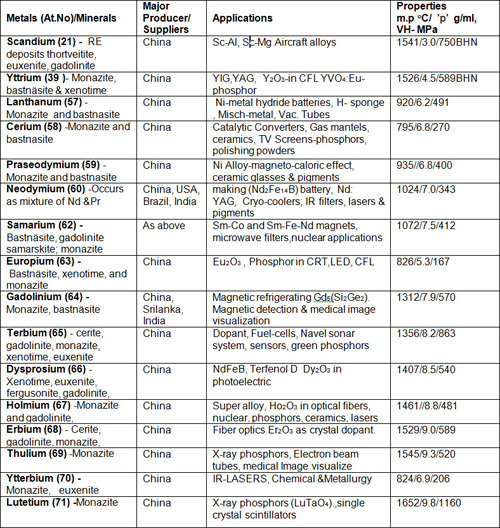 The table contains five low density soft metals out of these, Li is the only mono-valent and least dense solid alkali metal, chemically resembling Na but less reactive. Li is the lightest and considered as the most important, because 50% of Li production is used for making heat-resistant glasses, ceramics, high strength light weight alloys for aircraft, disposable and rechargeable batteries for portable & automotive appliances. Sr is mainly used as a carbonate in TV- screens, special glass and visual display units. Sr can also be used in cancer treatment as an isotope, Sr-89, for example, emits beta particles and has a long half-life making it ideal for radiotherapy. 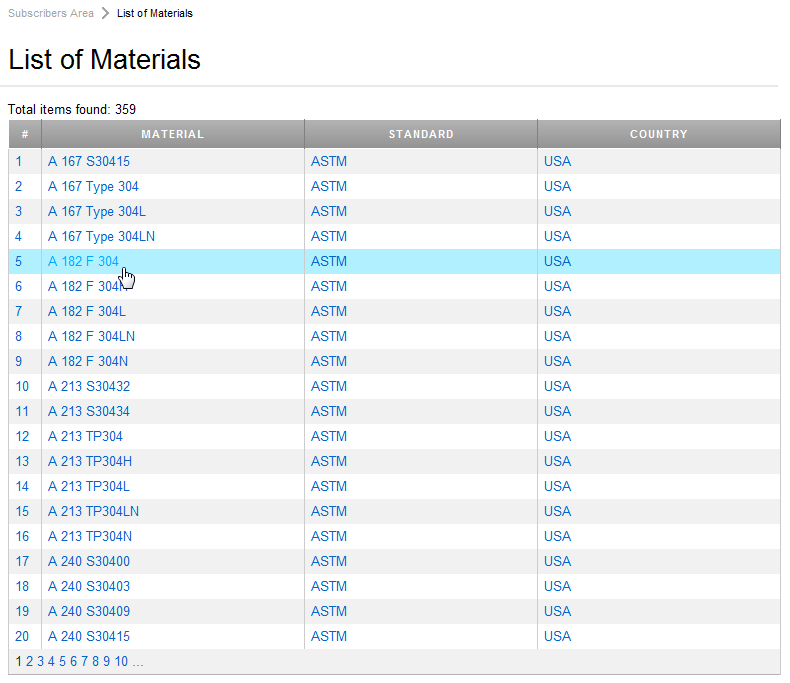 The table contains twelve MMs (metalloids & post transition metals), out of these Ga, In, Ge, and Te are most important for electronic & opto-electronic applications. Over 80% of tellurium production comes from the anode slimes from copper refining. These slimes contain as much as 8% Te, rendering this source as cost effective. Te can also be recovered as a by-product in a similar way from Au, Pb, Ni, Pt and Zn mining. The world production of Te is estimated around 220 t/y and the main mining regions are the (USA ~50t, Canada~20t, Peru~30t, Russia~20t, and Japan~40). Ga is used in gallium arsenide computer chips and solar cells. Ge is used in fiber-optics, infrared optics, catalysts, photovoltaic cells solar power arrays, night vision devices. GeO2 is primarily used in the production of optical products, such as wide-angle lenses and microscope objective lenses, optical fibers, as well as some phosphors and semiconductor materials. Indium is used in mobile phone touch screens, video displays and phosphors in light-emitting diodes. Te is used in solar panels and solar cells because of its higher efficiencies. 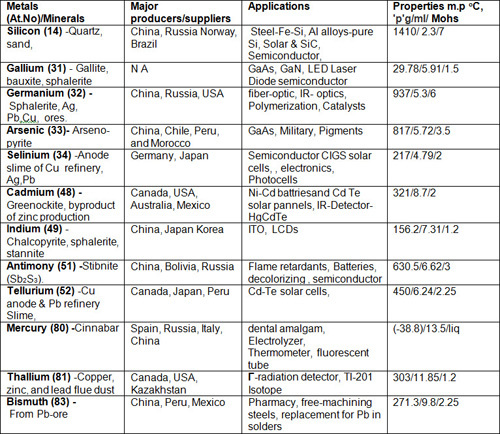 The group of sixteen transition metals (having high m.p) comprising of refractory (extraordinarily resistant to heat and wear) and high-strength hard metals used as carbides of W, Ti, Ta and V embedded in a matrix of Co or Ni by sintering, used for cutting tools for industrial applications’ Co is used in magnets called Alnico (Al-Ni-Co-Fe alloy) and Sm-Co alloy are used in permanent magnets. 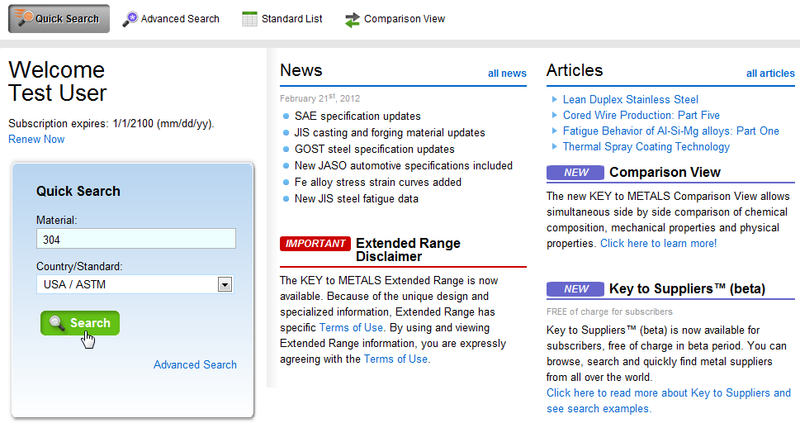 Re is used in jet engine components; Os & Ir is used for alloying Pt metal. The table consists of REE, with Sc & Y and without Pm. The REE are closely similar in their chemical properties, mainly trivalent, but otherwise similar to alkaline earth elements. The REEs are differentiated by their atomic numbers & densities, the elements from La to Eu are called light and Gd to Lu are known as heavy REE. The former are comparatively more abundant than the latter. The deep-sea mud in the Pacific Ocean is being tried as an alternative to surface resource for REE. The monazite minerals are considered as a principal resource and it is usually dominated by one or the other REE. When cerium is dominant, it is called Ce-monazite (Ce, La, Pr, Nd, Th, Y) PO4, similarly when other elements like La, Nd or Pr are dominant in monazite minerals they are named with reference to their REE.